How much do you charge for Birthday parties? 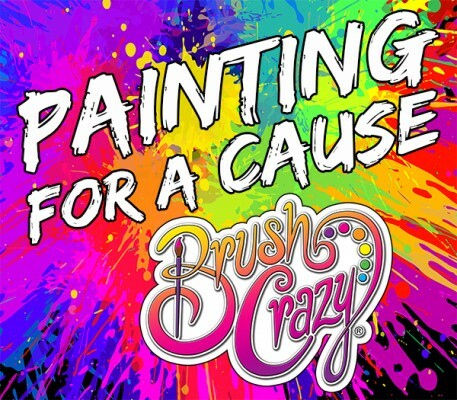 We do not charge extra to have your party with Brush Crazy, but we do require a $50 deposit. Do you have “walk in" Open Paint times to paint what we want? Yes - anytime the studio is open, you may come in and paint canvas, wood pallet signs, board cutouts or ceramics. We will provide the project of your choice, paints or glaze, apron, step-by-step paint sheet, and guidance from one of our artists! Please register online, 48 hours in advance, for groups of six or more people and we will reserve a table for you! Are we allowed to bring in food and drinks? Our studio is BYOB! Feel free to bring in your favorite beverage (alcoholic beverages are limited to beer and wine) and some snacks to enjoy during class! You may have food delivered, or even catered for larger events. Remember you are painting most of the time, so finger foods are best! Adult beverages after 6 pm only. Please bear in mind that if anyone or any group gets disrespectful to others around them with language or intoxication, they will be asked to leave the studio. Inappropriate language will never be permitted. This is a family-friendly studio even in the evenings with mostly adults - thank you ahead of time for your cooperation. What if I need to pay with cash or pay in studio when the class starts? Come into the studio 48 hours in advance to register and pay for your class. How much notice do I need to give if I can’t make it to a class I’ve paid for? A refund will be issued for cancellations received more than 48 hours before the class. A studio credit will be given for cancellations less than 48 hours before the class. No-shows will not receive a refund or studio credit. Seats are transferable, but you need to notify us at least 2 hours prior to class with the name change. Please email us at studio1@brushcrazy.com with your name, email and cell # you used for your account. Please follow up with a phone call to assure we received your email. What size wood pallet signs do you offer, and how much do they cost? We have a variety of different wood pallet signs and plywood cutouts starting from $15. How much are painting classes? All prices are based on the size of the canvas or wood sign, board cutouts or ceramics. What size canvases do you offer, and how much do they cost? How do I earn free classes? We currently have a rewards program. To create an account or sign in, click on My Account and fill out the form on the left side of the page. If you register your birthday month when you sign up, we will send you an e-mail letting you know we loaded a gift to your rewards and you can redeem at any time during your birthday month! We provide the canvas, wood pallet signs, board cutouts, ceramics, paints, aprons, instruction, plastic cups, napkins, plates, plasticware, and bottle openers. You go home with your project and great memories! Simple customization print out included in the price. Anything out side of normal setup has a fee. We accept credit cards, Brush Crazy Gift Cards and cash - no checks. How do I suggest a painting? You can suggest a painting on the Party & Event page. During a step-by-step class what freedom do we have? Even though our instructors will be teaching the painting as shown, feel free to change it up however you want both in color and icons! If you’re changing colors on your painting, please come in 15 minutes early and bring your receipt to class for check-in. Then you can choose your paint colors if they are different than the ones we are teaching for that painting. 2. You will receive an email with confirmation of your event and link to pay your deposit. Once the deposit is paid, you can view and choose your painting(s). 3. After you choose your painting, you are directed to a page that will allow you to choose and customize invitations for your event to send to your friends. 4. Events are allowed up to 3 hours, depending on the length of painting or project chosen. If the party goes beyond the allotted time there will be a charge of $50 per every half hour, pending staff & space availability. 5. No discount or promotions may be applied to a private event. Brush Crazy Rewards can be used at any time. 6. No refunds if your event is canceled less than 48 hours in advance. 7. If you would like a custom painting designed for your group, ask about our custom options. Price will be determined by the complexity of the painting. Choose a studio from our Locations page. To view the entire calendar of classes available for the current month, click on the calendar link. Click on a painting to view the class details and register. You must have an account to register for classes. What is the age minimum to paint a canvas? Walk-In Walk-In Open Paint does not have an age limit. If bringing younger children, please be respectful of the customers around you, and keep your children with you at all times.